Yes I do indeed find some lessons from Mamma Mia on the dynamics of life – and the writing journey. Having recently seen the film Mamma Mia: Here We Go Again, twice, and loved it even more the second time I saw it, I felt compelled to draw out some dynamic equivalents for all of us. Mamma Mia, the first movie, has been accused of being sentimental, idealistic, sugary, unrealistic; and yet the second movie with its fast moving sequences of prequel and sequel I believe is very like life as we all can experience it… minus the extremely skilful singing and dancing sequences of course! Of course all that I write from now on will only be fully understood by those who have seen and loved both movies. And if you haven’t seen the second film yet and don’t like spoilers… then don’t read on! 1. When young Donna and young Sam took a boat across to the small island, Donna spoke about knowing what she wanted to do for the rest of her life. She said she wanted to stay on the island forever. Sam said it wasn’t that simple… and as we watched, we were fully aware of how their lives would pan out for the next twenty five years, as a consequence of their actions and decisions and words during the small amount of time they spent together. 2. The relationship between Sophie and Sam twenty five years later, both grieving for Donna, but supporting and loving each other: so sad and yet so beautiful, and everything that Donna could have hoped for, notwithstanding that she could never have known her life would be cut short so early. 3. The use of parallelism as the scenes switched back and forward over twenty five years; the rooms in the farmhouse; the two pregnancies; the two babies. 4. Amanda Seyfried, who played Sophie: older, sadder and wiser than the sparkly, impulsive, madcap young girl we see in the first film – and yet still so beautiful inside and out. 5. The role that Donna’s friends Tanya and Rosie play throughout both films; first, supporting and encouraging Donna, and then transferring that same support to Sophie. 6. Seeing the older men and their young selves dancing together at the end. 7. Cher in the role of formerly recalcitrant grandmother – now returned, reformed – to meet again the man she last saw in 1959. Perhaps stretching credulity for some of us … and yet still may there be a message for us there? Life can be very strange indeed. It was Adrian Plass who said, You don’t know what is going on behind the scenes. Life may have brought us many disappointments; it may be difficult to keep faith, and easy to give up hope in achieving all that we have dreamed of: and I don’t deny that. I am very well aware of it myself, in my life, in the wrong choices I’ve made, and especially in my writing journey; and yet we can never discount life’s quirkiness, its unexpectedness, the twists and loops and connections that may utterly surprise us. It does seem to be an essential part of the dynamics of life that what we hope for and dream of may be taken out of our hands, and yet at some future stage we may receive an unexpected gift, that would never have been possible without our hasty actions or impulsive decisions in the past; sometimes we may do something outrageous or foolish; all this may play its part in some unfathomable outcome years ahead. And the men dancing with their younger selves? You may see that as just a fun scene with the actors stepping outside their roles in the story timeline, and enjoying themselves. So it was. But also what a lovely metaphor for us: dancing with our younger selves, even if we feel they made mistake and wrong choices, even if we regret things those younger selves said and did… perhaps the message is to dance with our younger selves, a joyous acceptance of all that we are and have been… and accept the passing of time, together with all the unexpected gifts that brings, trust in the process of life, and keep faith. They would ask me what actors I saw in the roles. I would tell them, and they’d say, ‘Oh, that’s interesting.’ And that would be the end of it. (Elmore Leonard, in 2000, on the extent of his input for Hollywood’s adaptation of his novels). And having chosen the cast, here is my dream production company: Working Title Films. And the producers: Duncan Kenworthy, Eric Fellner and Tim Bevan. And finally, the Director: Debbie Isitt. Look out for the third edition of Mystical Circles with a new cover design. It will be published by Luminarie on 30 August 2017. There’s a character we love, in all forms of media. Is he the exciting hero? Is he clever, bold, handsome, courageous? No. He’s a bit downbeat and low-key. A bit dumb. He drifts around in the background looking vacant. And he’s the one we find most endearing. 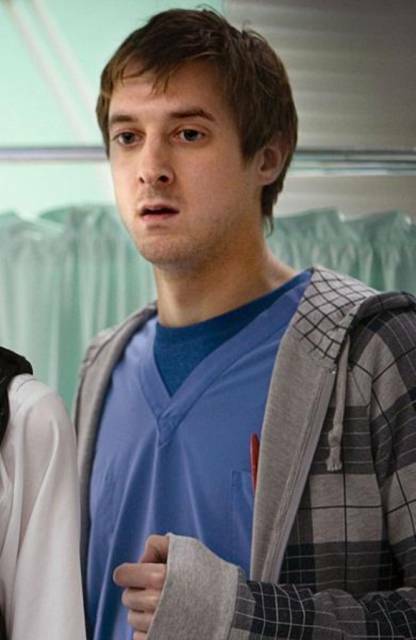 He’s Rory Williams in Doctor Who Series 5-7. He’s Rory Barker, who started as Junior Researcher in James May’s Man Lab. PG Wodehouse traded on them in his comic novels. Step forward Gussie Fink-Nottle. He’s Bertie Wooster’s friend, with a face like a fish. Gussie who’s ‘not quite with it’, he’s ‘caught up in his own world’ (which, in Gussie’s case, is an obsession with newts). Sir Arthur Conan Doyle understood the archetypal power of this character too – in Dr John Watson, who seems dumb next to his brilliant colleage, Sherlock Holmes. Among TV drama series we find Merlin. He plays this role for the benefit of Arthur, who doesn’t understand who Merlin truly is. This character is ‘a bit of dill’, ‘a bit simple’. And YouTube high-flyers like Charlie McDonnell also understand the appeal of this character. He’s under-stated, he’s self-deprecating. Among young adult novels, The Declaration Trilogy by Gemma Malley has a character called Jude, who entered in the second novel of the trilogy, and who very quickly became my favourite character. 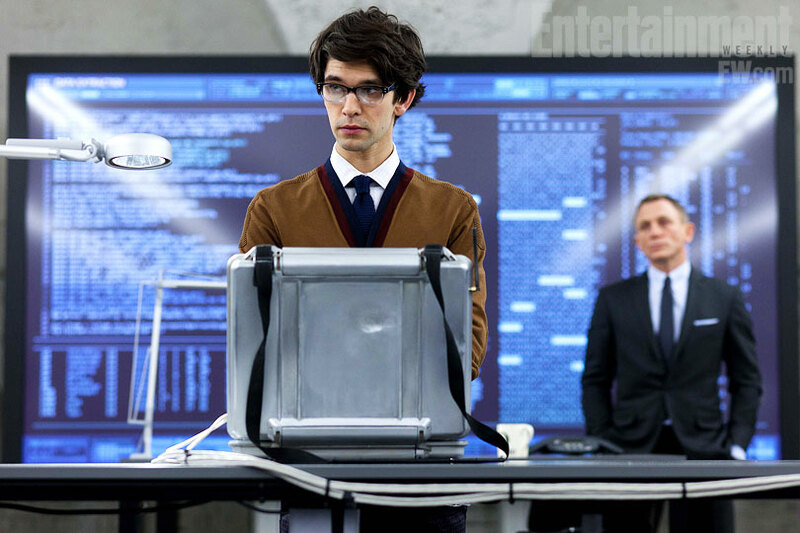 And in films we find Q in Skyfall – ‘a kid with spots’, as OO7 points out when he first meets him in an art gallery. ‘My complexion is hardly relevant,’ he says to Bond. These characters are anti-heroes who endear themselves to us. Another name for this character-type is “the ingenue”. Our love for them tells us something very heartening about human nature.